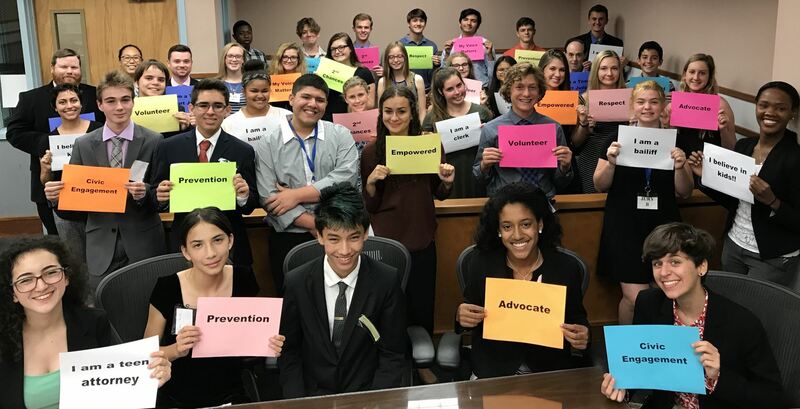 Teen Court of Sarasota, Inc. is a nonprofit organization dedicated to providing law-related education to over 4,000 students in Sarasota County annually, while preventing at-risk youth from having a criminal charge or conviction on their record, allowing them a second chance at a bright future. Our vision is to instill self-esteem in youth by introducing them to the positive benefits of law-abiding citizenship. The programs and services delivered by Teen Court of Sarasota not only improve individual lives, but improve our community as a whole. Our success is dependent upon generous support from businesses and individuals in the community. Make a difference today by donating to Teen Court of Sarasota! to introduce area youth to activities and services that promote feelings of self-esteem and self-improvement when they develop a healthy attitude toward authority. to provide organizational activities that instill and teach the benefits of law abiding citizenship and civic engagement.